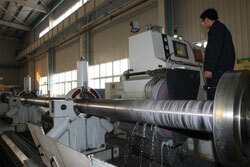 Owning top ranking modern machines and plants, NGC also has a professional designing, manufacturing and inspecting team of shaft & rudder system. 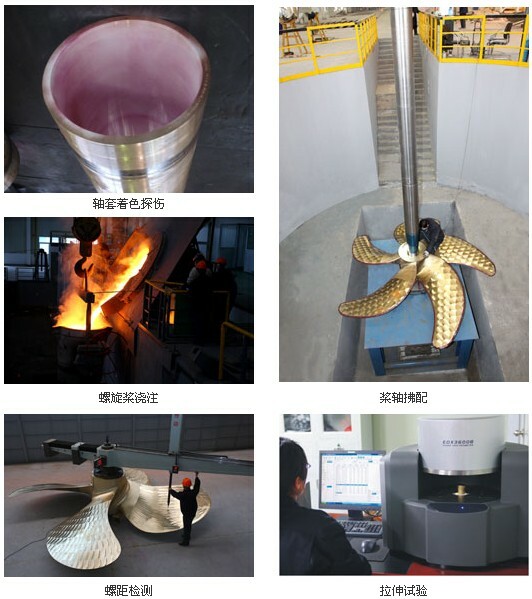 Our engineers are able to work out the solution and equipment selection according to the hull dimension, hull form, and ship model test data provided by the clients. 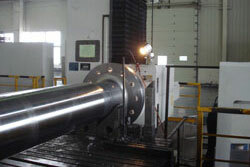 We can supply single component of shaft & rudder system, and also the system package as well. For the ship builder and designer, they can get the professional service and reduce the cost and management time at one time. �� Taking the real operation condition of the ship into the consideration, our engineers come out with the optimal propeller blade design via lifting surface method and viscous flow numerical analysis so as to have the optimized matching of engine-propeller-ship; in addition, to get the perfect propulsion efficiency, cavitations factor and vibration level, we do the model test to correct relative parameters. 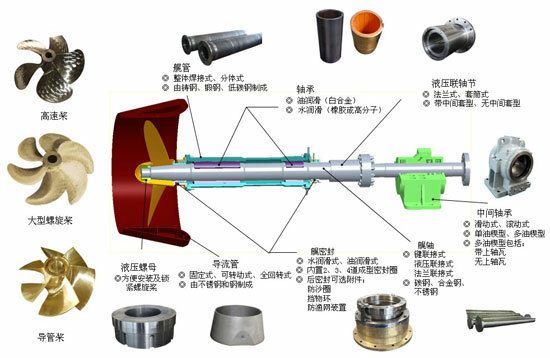 �� The application of special CAD/CAM/CAE software and DNV shafting calculation software improves the working efficiency, and optimizes our solution. 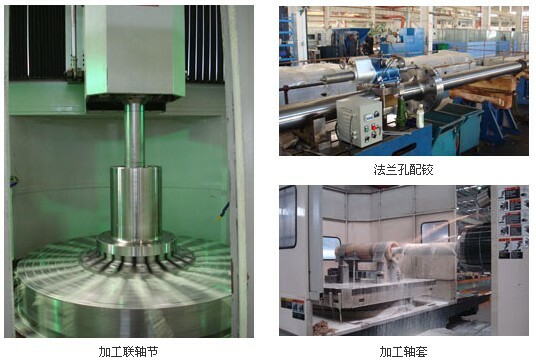 Taking into consideration of negative factors to the shafting strength, vibration and alignment, the calculation result is more matchable with the real working condition. 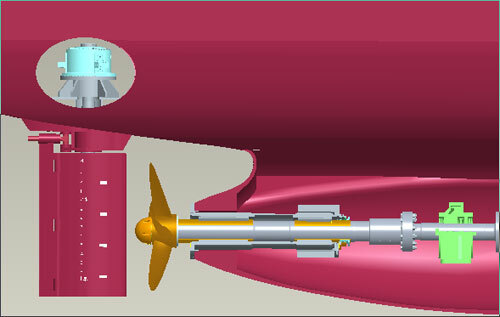 In addition, based on our cooperation with professional researching institute, our shaft &rudder systems solution is more objective and to ensure the good propulsion performance and maneuverability. 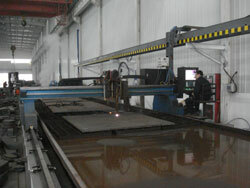 �� Main equipments: over 200 sets of advanced equipment, such as 125T crane,mid-frequency melting furnace (lowering of charge reaches to 150T per time), 11M 3-coordinate digital pitch meter, large static balance meter, large CNC horizontal lathe, large CNC vertical lathe, large rolling grinder, large CNC boring & milling machine, large boring machine and Toshiba machining center. 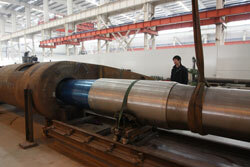 The annual production capacity is 6,000 tons of marine propellers and over 100 sets of shaft lines. The company is able to produce a single-piece of fixed propeller with a net weight up to 100 tons and a diameter up to 11 meter, and shaft at the length of 16m at the diameter of 1.6m. 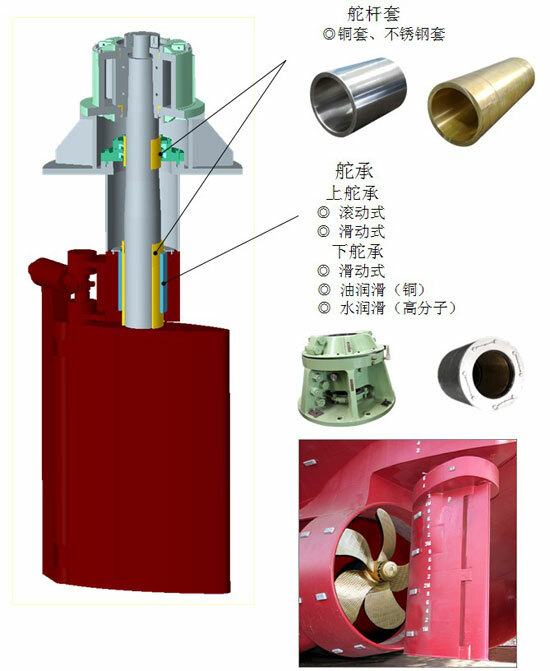 NGC��s spade-type rudder, flap-type rudder, twisting reaction rudder and nozzle rudder can meet the requirement of speed and maneuverability of the vessels. 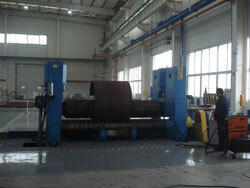 The maximum weight of the rudder blade can reach to 80T. 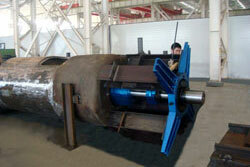 The maximum working torque of electric rotary vane type hydraulic steering gear of NGC reaches to 1600kN.m. Quality policy: quality first, users�� utmost, leading the market and pursuing the perfect. All of our processes, including designing, process, material and assembly are carried out under ISO9001 quality system, and can meet the requirements of Marine rules. To ensure the quality of products, the company always regards the inspector��s skills and increases the investment to the advanced inspecting and testing equipment.